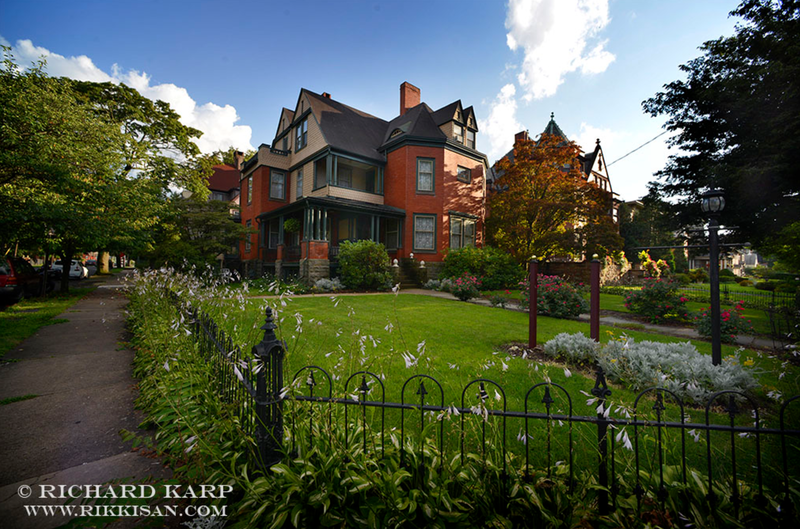 This 1888 home was designed by Eber Culver and built on land purchased by Peter Herdic. It is recognized as one of the most outstanding examples of Queen Anne architecture in the state and features extraordinary Tiffany quality stained glass windows which were featured in Victorian Homes Magazine. The cherry and oak woodwork is in excellent condition, and the electric light fixtures are extremely rare. This home was opened to the public as a Victorian House Museum summer 2007. This seventeen-room brick Victorian style home and accompanying carriage house were built in 1887 by architect Eber Culver for his friend Elias Deemer. This is another outstanding example of Queen Anne craftsmanship, especially the cherry wainscoting in the foyer and front hall as well as three floors of cherry stairway railings. The house has undergone considerable restoration, both exterior and interior, by the current owner. Featured in the carriage house is a 1929 Packard limousine. 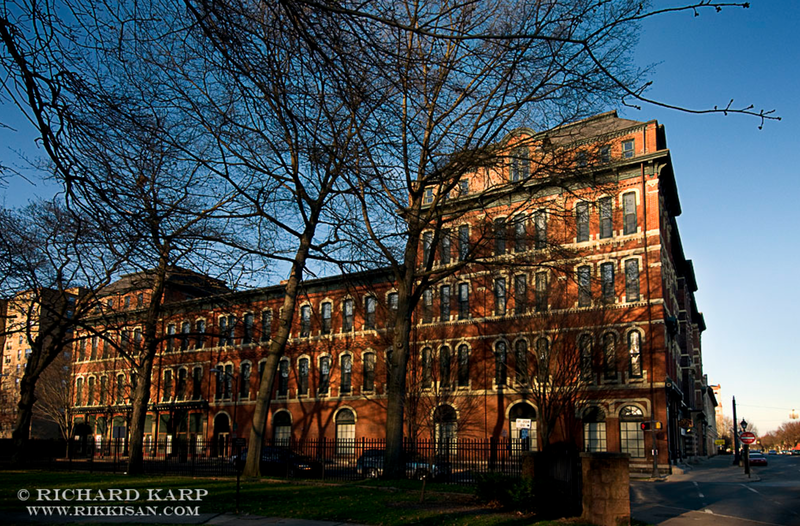 The Herdic Block, as it was originally known, was designed and built by Eber Culver for Peter Herdic in 1870. It was to be the business center of the city and eventually the site of an opera house, public market and government offices. The large 3½ story “U” shaped commercial and residential complex was built entirely of timber and bricks, and was still unfinished in 1878 when it was purchased by William Weightman. It was last renovated into apartments in 1996. In 2016, new owners began to make additional improvements. This Late Victorian Queen Anne home (also known as the Johnson/Lamade House) was completely custom designed with colonial revival influence. The outside of this house is original and boasts many stylistic features, such as double roof dormers with wood shingles and fish scale trim, that were not found in the typical pattern book of the time. 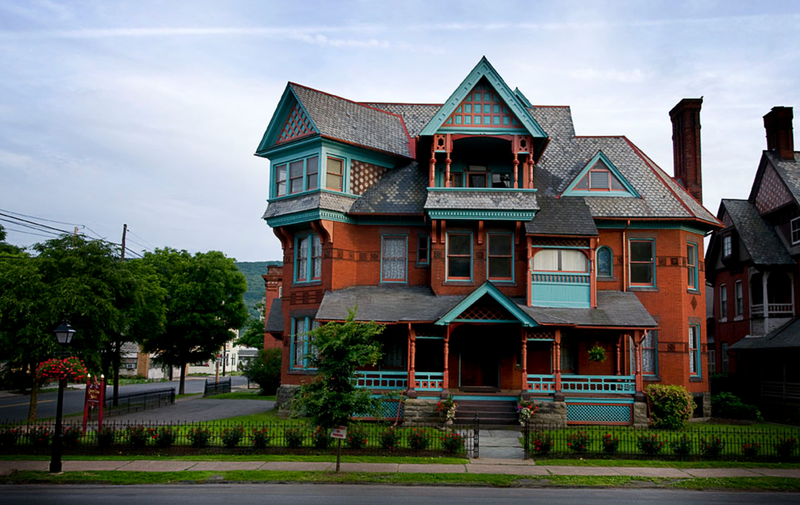 It was designed in 1890 by Amos Wagner and built for Henry Johnson, a state legislator from Muncy, who moved to the city to help his six daughters find suitable husbands among the wealthy men of Williamsport. The Johnsons were so pleased with Wagner’s work, they had him build a similar home next door on Maynard Street for one of their daughters. The house will be the future home of the Backhouse Café Coffee & Tea. 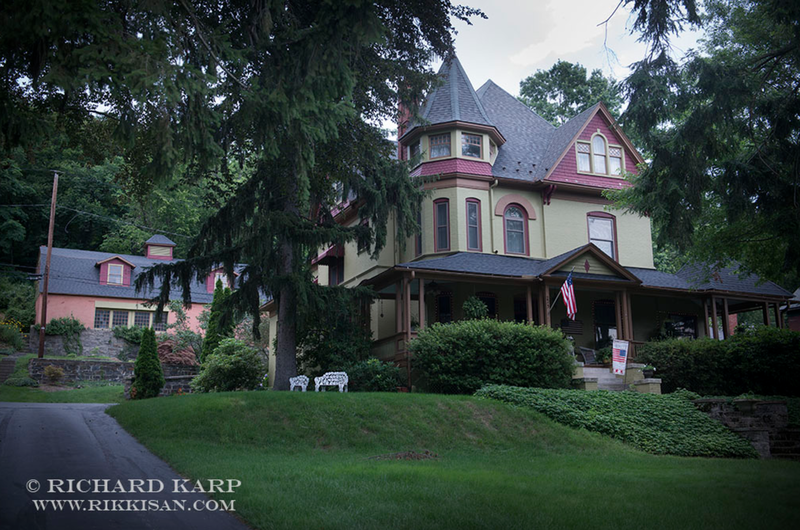 This upper middle class, brick Victorian home was designed by one of Williamsport’s early architects, William Fink. The land, part of the DuBois addition to Williamsport, was originally deeded and purchased from lumberman John DuBois. Fink first constructed a stone culvert (still existing and on display) through his property and across Pine Street, to enclose Grafius Run. He then built this home to straddle the stream. 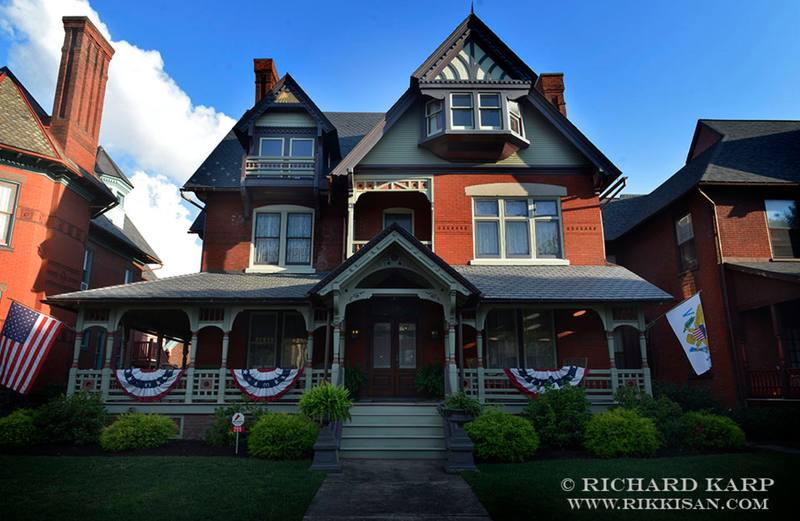 The early 1890s brought a transfer in the home’s ownership to prominent Williamsport Physician Dr. Charles W. Youngman, son of the Williamsport businessman and abolitionist, George W. Youngman. The home is in the early stages of preservation and repurposing. The Artisan’s Holiday Market will be featured here. 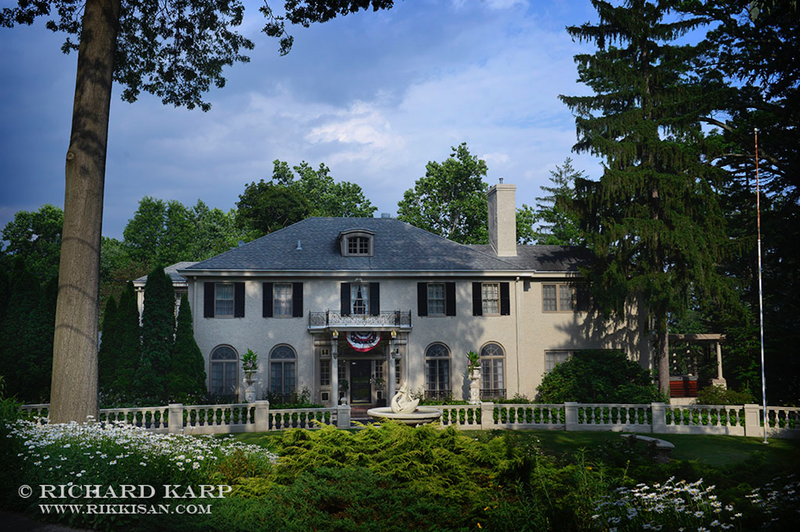 Built in 1917 by C. Luther and Carolyn Gates Culler, this gracious home celebrates its 100th anniversary this year. The brick and stucco exterior and outside front fountain truly exemplify the Georgian style of architecture. In the style of The Great Gatsby, it features tall arched, floor-to-ceiling windows, fourteen rooms, five bathrooms, and maid’s and chauffeur’s quarters. The $100,000 construction cost was a sizable amount for the era. Culler owned and operated the Culler Furniture Company in Williamsport, located at the foot of Susquehanna Street on the site of what is now the Pennsylvania College of Technology. The company’s primary product was chairs. This spectacular home has undergone extensive and detailed restoration by the present owner. This three-story Queen Anne style Victorian home with large wrap-around porch was built in 1895 by William H.C. Huffman. Huffman was a locally renowned architect and builder of many of the city’s commercial buildings. He and his wife Nena lived in the home from 1896-1904, when it was sold to Frank B. Thrall, a local wholesale grocer, for $4,000.00. In 1968 the Goodwillie family purchased the home and adapted it to 20th-century living. Note the original fireplaces, oak woodwork, large pocket doors and beveled glass in some of the windows. The kitchen and enclosed porch remain as it was after the late 60’s remodel. When the Myers family purchased the home in 1997 they worked to restore the interior from a more colonial design back to its original Victorian influence. This property also has the original carriage house and outside kitchen on the grounds. This 5,418 square foot historic estate was built in 1898 as a Victorian brick and shingle style home. William W. Jackson lived here from 1909-1923, however possibly not the original owner. 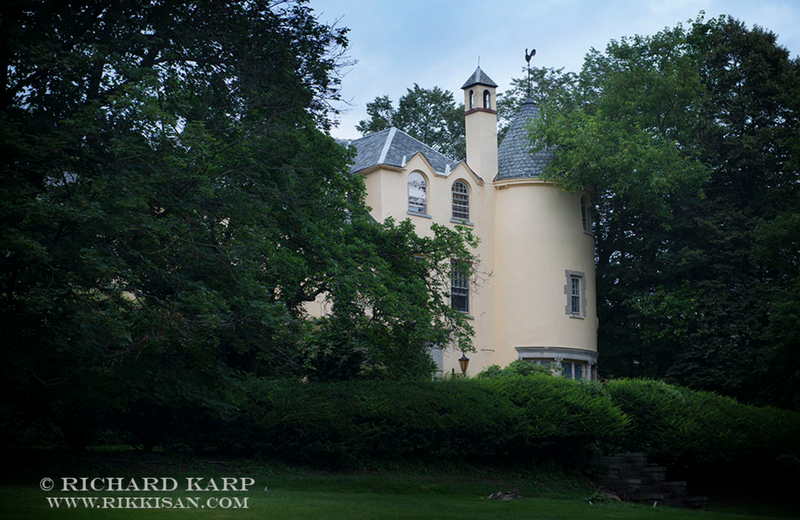 In 1925 the Frank E. Plankenhorn family purchased the home, extensively remodeling the exterior and converting the Victorian into a French Country stucco chateau complete with an imported French rooster wind vane atop the main turret. The lavish interior features original herringbone floors, a sweeping spiral staircase as well as original barreled, leaded stained-glass windows, and doors by Tiffany Studios. Note the original carriage house and gardens located on the estate grounds. This stately home was recently purchased in 2016 and is currently undergoing renovation. 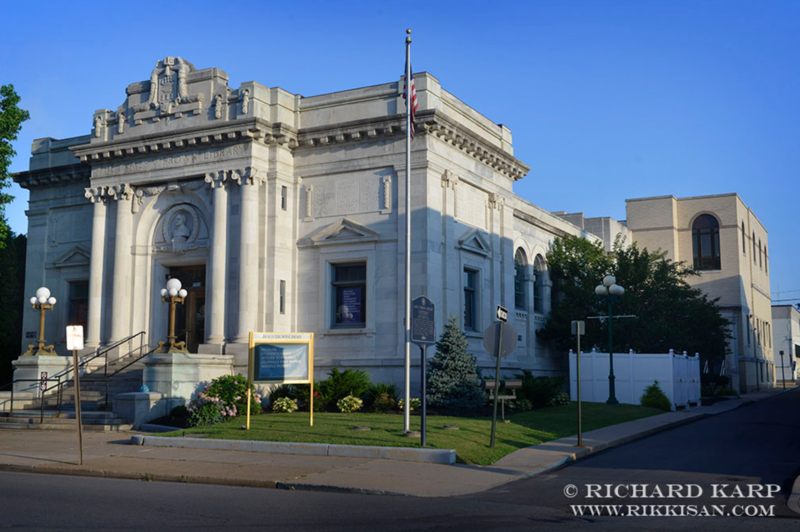 The James V. Brown Library was a gift to the city of Williamsport from James Vanduzee Brown, a prominent citizen who made his fortune in lumber and grain mills, and was instrumental in the founding of the Williams- port Municipal Water Authority. The Library was designed by Edgar V. Seeler, and opened to the public on June 18, 1907. Entering through the Fourth Street foyer, visitors encounter the marble statues of Ruth and Beatrice Portinari that were part of Brown’s personal collection. The magnificent Moltz Rotunda Reading Room is of the original structure and contains the stained-glass dome skylight and more recently installed wrought iron gazebo. 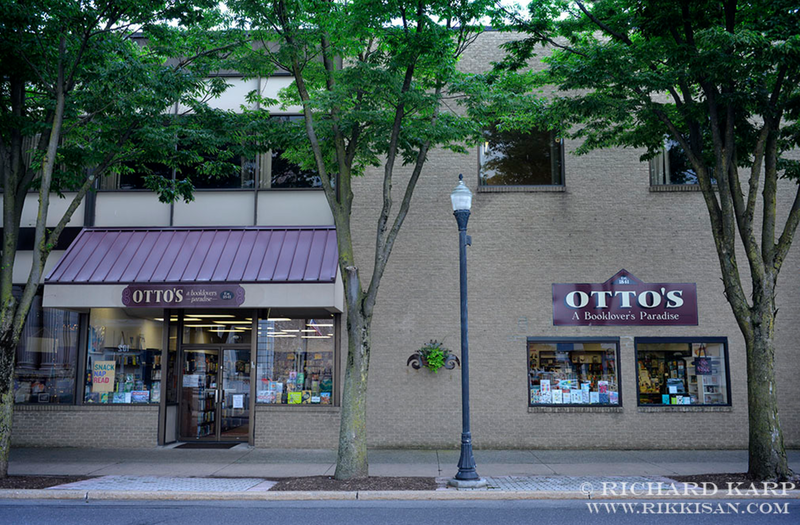 The Otto Bookstore has been a cornerstone of the Williamsport community for 176 years. Originally founded as A.D. Lundy & Co. in 1841, the store sold a variety of other goods in addition to books, including window shades and insurance. Over the decades, the store changed names, locations and owners several times before passing to the Otto family in the 1890s. Today, the Otto Bookstore is the oldest independently owned bookstore in the United States, and one of the five oldest bookstores in the country. The store was recently acquired from the Rider family, whose work and ownership dates back to 1905 and has been a part of the store’s history for nearly four generations. Now the Nassberg family has joined Otto’s history to ensure that the bookstore remains a booklover’s paradise for the generations to come. 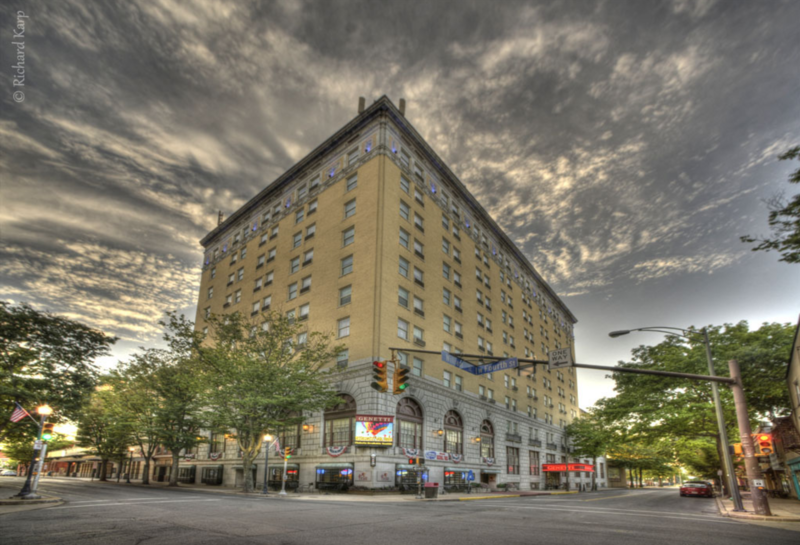 Built in 1922, The Lycoming Hotel stood 10 stories tall. Mr. Gus Genetti purchased the hotel in 1974 and worked very hard to maintain the elegant atmosphere. The hotel to this day attracts many notable guests and is still the tallest building in the city. Being located in the heart of downtown Williamsport, the Genetti is the premier place to visit and offers great walking abilities to many shops and restaurants. 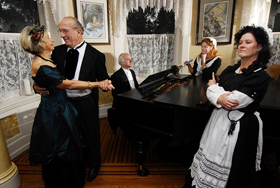 Victorian Christmas tourists are welcome to walk through the historic hotel lobby and take in the beautiful Christmas decorations while enjoying some complimentary light refreshments. 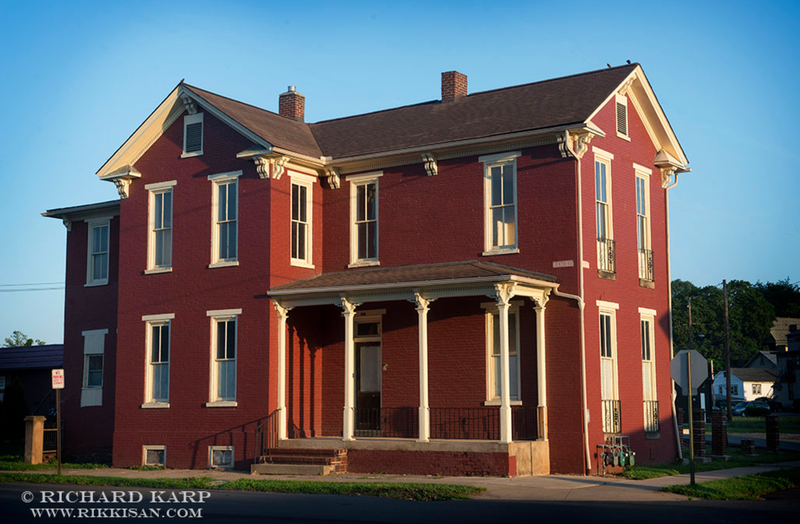 The beautiful red brick building on the corner of William and West Fourth Streets was built in 1860. The building was home to two prominent Williamsport families, those of George Slate and John A. Otto. Thirty years later, the home was transformed into the Ross Club. 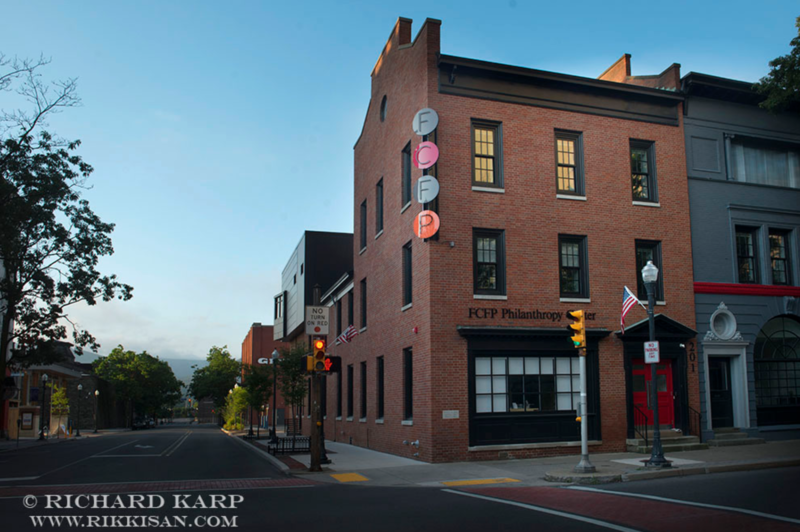 In 2016, the First Community Foundation Partnership of Pennsylvania purchased the building at 201 West Fourth Street to create the FCFP Philanthropy Center. 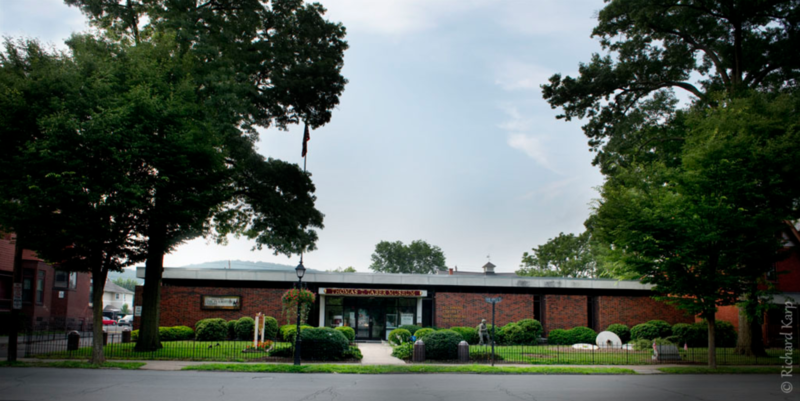 The Thomas T. Taber Museum of the Lycoming County Historical Society will be alive with the sound of ‘All Aboard!’ as its Community Room is enlivened with train layouts, an extension of the Will Huffman Toy Train Expo. Surrounding the room will be stunning artworks, the best of the Bald Eagle Art League. And come back in December when the Community Room will be host to vintage iceskates, sleds and sleighs loaned to us by members of the community. And while you are here, view the Larue Shempp Model Train Collection, our newly-replenished Decorative and Fine Arts Gallery, and other county treasures. Several African American families lived here and gave aid to persons escaping slavery. Daniel Hughes bought land from one of these families, the Rodericks. Daniel was a UGRR conductor. Traveling down the Susquehanna by timber raft, he returned on foot from Maryland, leading runaways over Native American trails to Freedom Road. The Hughes family sheltered and nursed the runaways, then led or conveyed them northward. Hughes gave land so that African Americans, including nine Civil War veterans, had a place to be buried. Daniel and Annie are buried there in unmarked graves. Hughes family descendants cared for the cemetery for generations. In the latter 20th century, Eagle Scout Hayim Weiss raised funds and helped restore it. 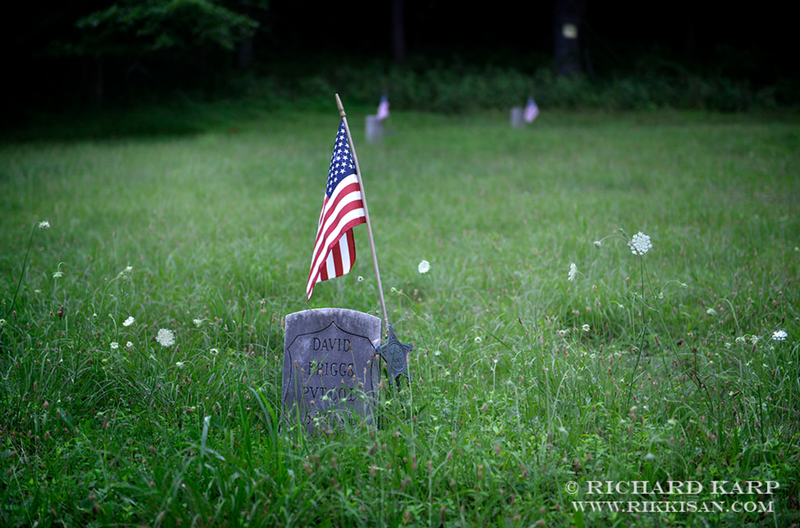 Loyalsock Township now owns and maintains Freedom Road cemetery. A Pennsylvania State Historical Marker commemorates the site. Christ Church is the city’s oldest Episcopal Church. A parish church was organized in 1841 and the first church building was located on the present site of the New Covenant Church. 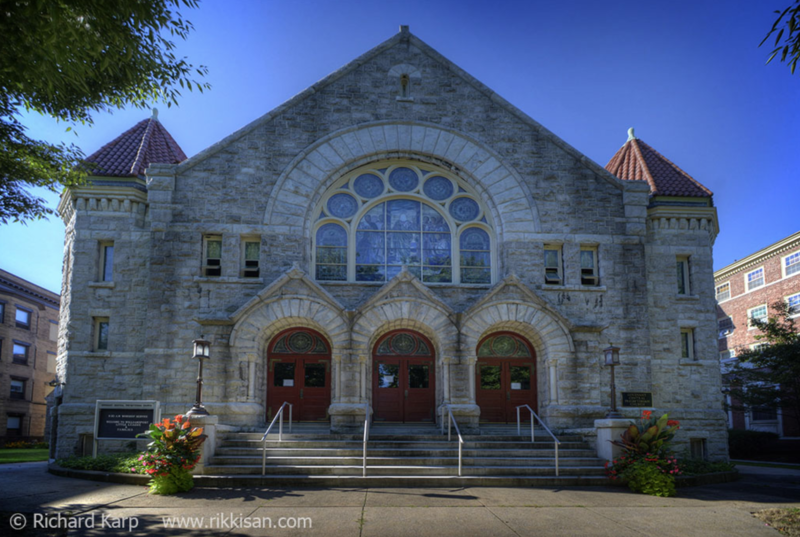 In 1869, the now standing Christ Church was built with its first service held on Christmas Day. This Victorian Norman-Gothic structure is adorned with stained glass windows, many of which are Tiffany, and a pipe organ. Ongoing sanctuary tours and refreshments will be served. 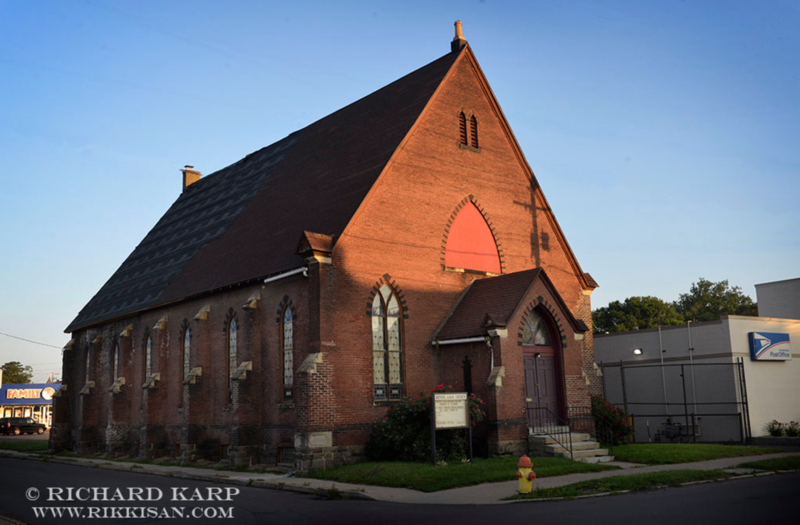 Built in 1875 by Culver and Thorn, the church was paid for by Peter Herdic, who donated both the land and the building to the parish. His father-in-law, Judge Maynard, presented the church with a set of Westminster chimes. 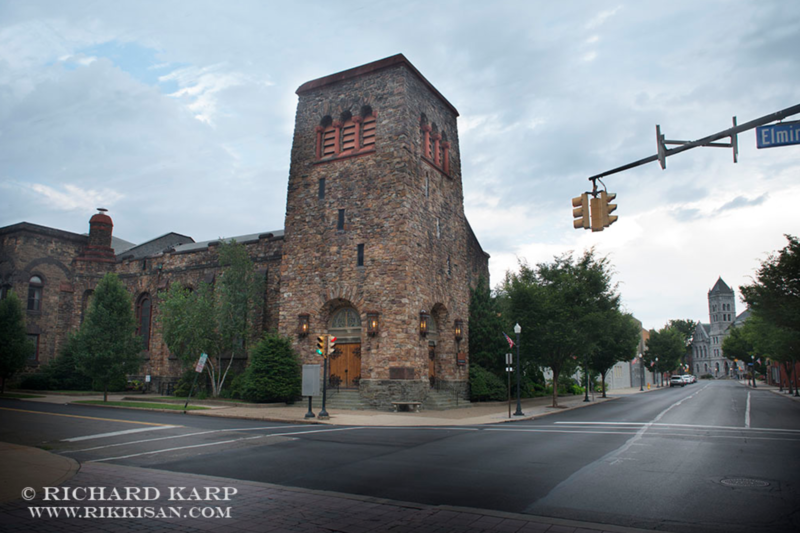 The church is an example of English Gothic architecture and contains stone quarried locally from Bald Eagle Mountain. A Victorian soup lunch will be served from 11 AM – 2 PM. 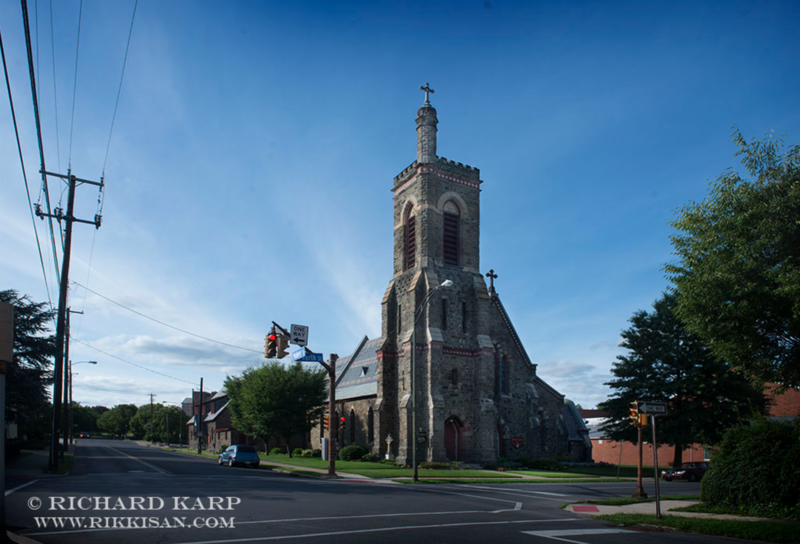 This Romanesque church was designed and built by Eber Culver on land donated by Peter Herdic around 1860. After being destroyed by floods, the original building was torn down in 1898. A new church was built in 1914. The mountain stone was quarried in this area. Note the Tiffany Windows. Lunch will be available at the church from 11:00AM – 3:50PM. The two meal options are Egyptian koshari and Egyptian red lentil soup. Meals are $6 each. For more information about this lunch offering please click here. Built in 1886 by Amos Wagner on land donated by Peter Herdic, this Romanesque style church was built to serve the Irish community. The stone came from the nearby town of Ralston. The church seats 600 people and features an abundance of marble and gold décor. Sanctuary tours from 10 AM – 3 PM. Lunch, beverages and crafts from 9 AM – 3 PM in the Monsignor William J. Fleming Parish Center. Built in 1909 in the Richardsonian Romanesque style, this structure is marble and granite, including the front steps, all quarried at the Avondale Quarry near Philadelphia. The roof is terracotta tile and copper with thick window lintels, large semi-circular arched entries, three doors with stained glass, and many arched, stained glass windows. The church has an eight-sided dome in the sanctuary, which includes a cross on top made of solid oak with hammered copper overlay. Ebenezer Baptist Church purchased land in 1890 to build its church, dedicating it in 1899. 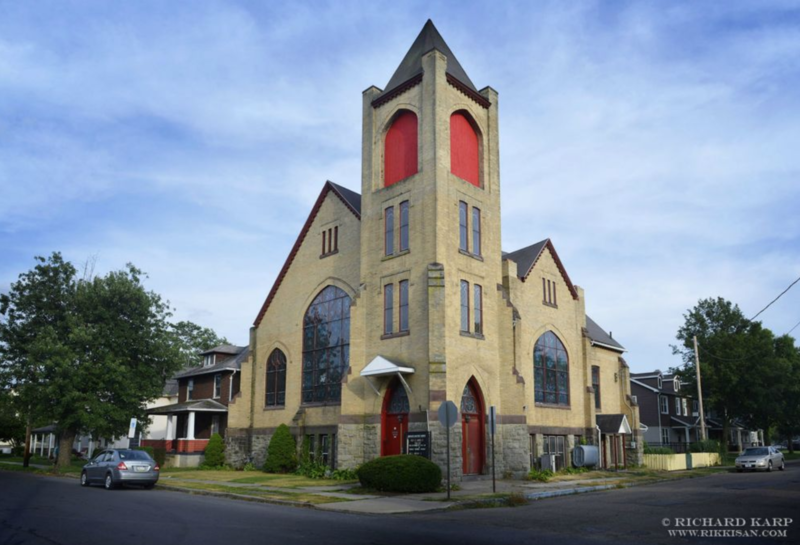 This “Church with a Heart” welcomes newcomers. Lovely stained glass windows include one “Presented by Under Ground Railroad Club.” Ebenezer’s choir, under the direction of Shaunna Daniels, National Gospel Recording Artist, will perform Spirituals and Gospel music from 1 to 2 p.m. 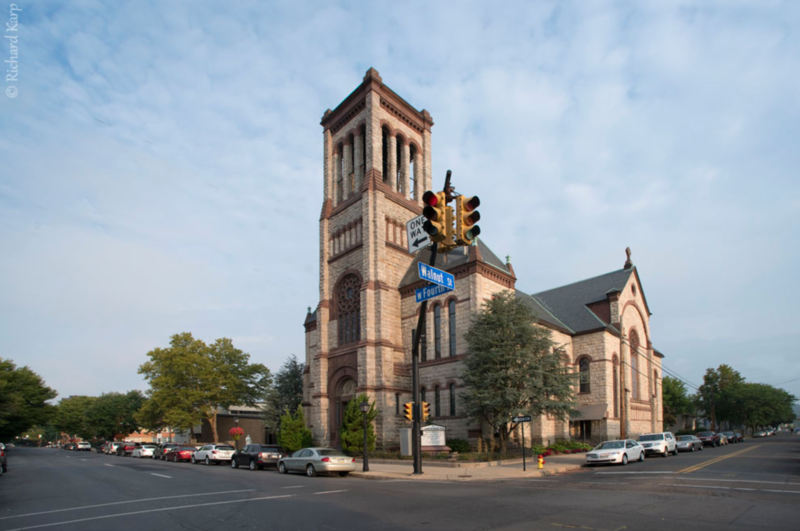 The Bethel AME (African Methodist Episcopal) Church was organized in 1862, and under construction in 1886. It has a brick exterior, a nave and raised area for the altar and choir. All the windows are ornamental, repeating a simple, elegant design. Some windows are dedicated to the church’s founders and their descendants. One window is exceptional as it contains a painted portrait of one of the first pastors of the church, the Rev. John Emory Russell (1846-1887). 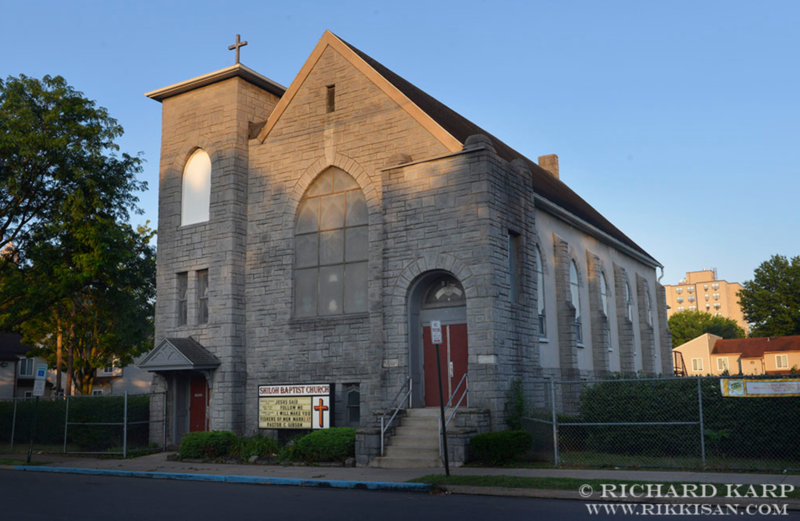 Shiloh Baptist Church has been a pillar of the Williams- port community for over 135 years. 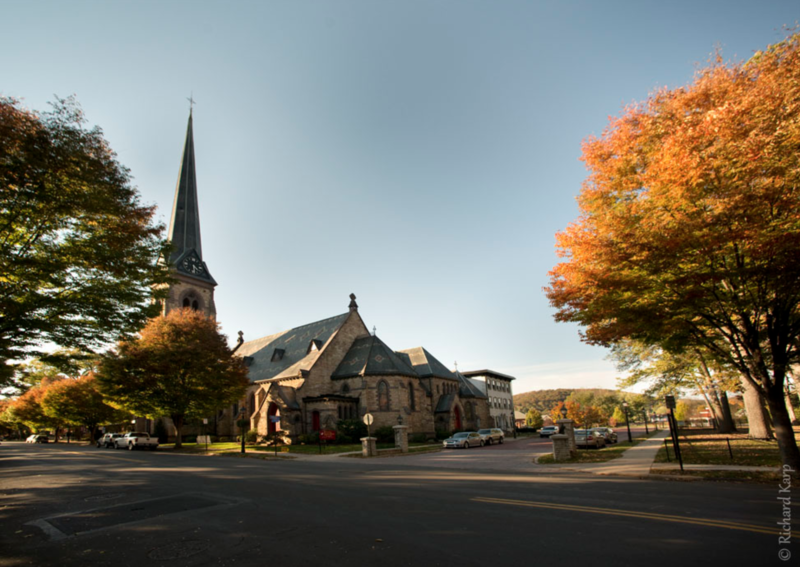 The earliest available records indicate that on June 12, 1879, ten African-American members of the First Baptist Church of Williamsport asked permission to be dismissed from the fellowship of the First Baptist Church to take upon themselves the task of forming a Mission School. Their act marked the beginning of the Shiloh Baptist Church. On May 18, 1881, despite limited capital, the congregation resolved to purchase the property and erected a new church building.